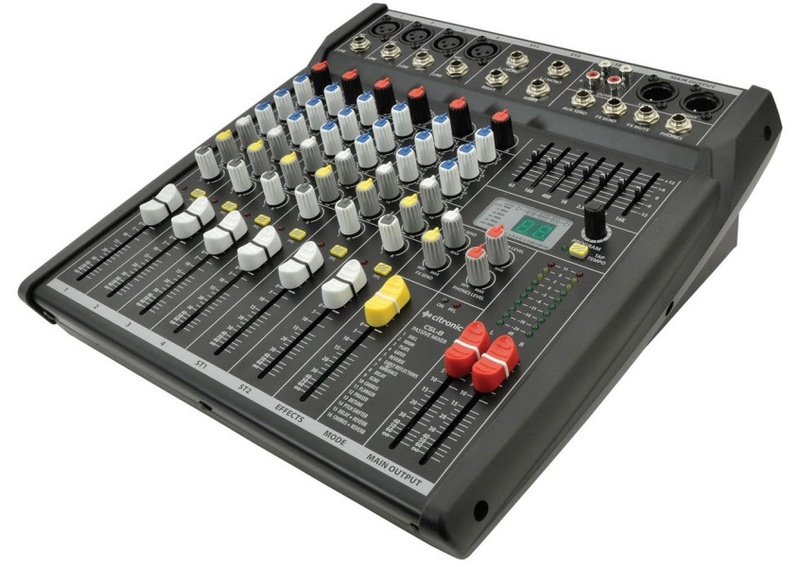 The Citronic CSL Series are our most compact mixing desks. Ideal for home use, small studio set ups and solo performers. 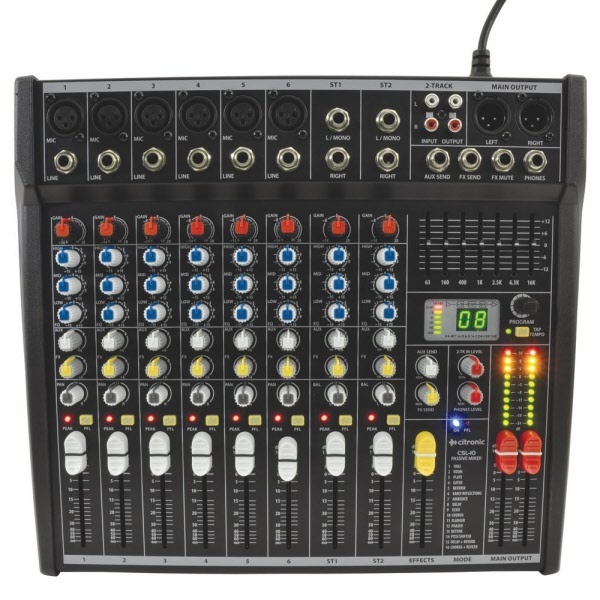 The CSL Series consoles have balanced microphone and line level inputs and separate stereo inputs for media player, CD or Keyboards. Each input channel has individual gain control, 3-band Equaliser, Auxiliary send, FX send and Pan. All preamps have studio grade, low noise architecture for the cleanest possible path throughout the signal chain. A 24 Bit Digital Signal Processor (DSP) which has 16 built-in programmes and includes 'Tap Tempo' a button to set a tempo for time effects. 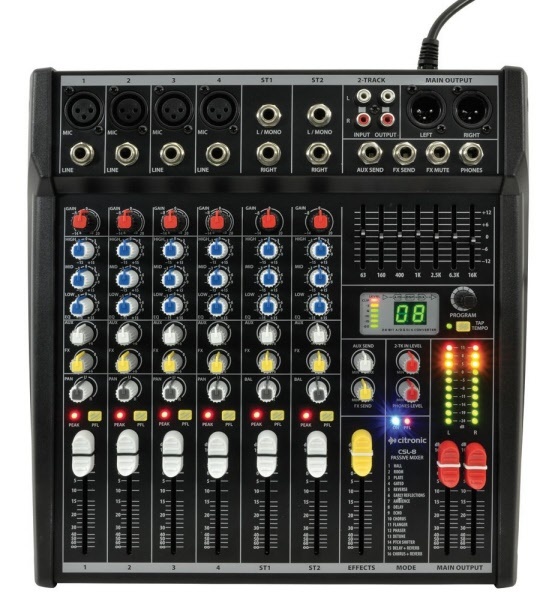 The Citronic mixer has a overall 7-band graphic for global tone control of mixer output. 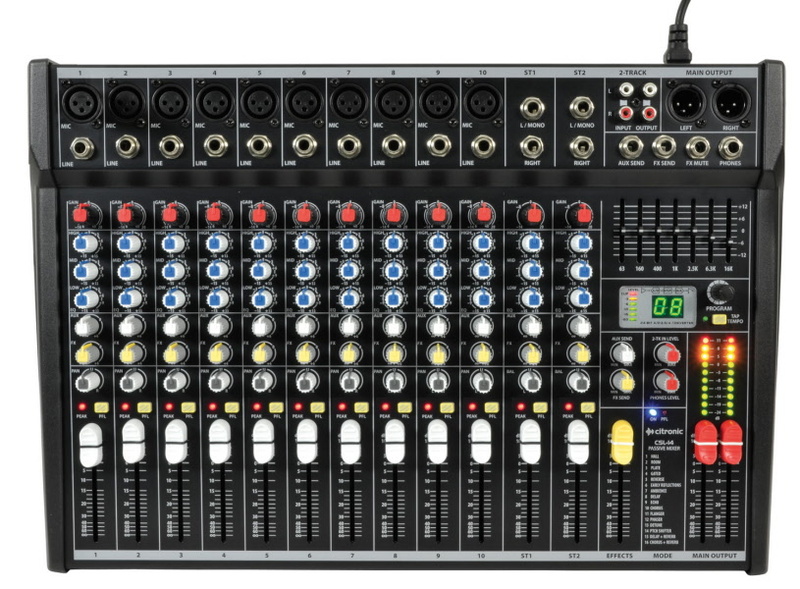 The main mixer outputs are via a per of XLR plugs, A two track record/playback facility is provided via Phono sockets (RCA). The Headphone output jack is located on the front console next to the FX remote control socket.